Because the 2016 Summer Olympics just kicked off in Brazil, a diverse country with strong African ties and, unsurprisingly, social issues similar to those in the United States, we thought that now would be a good time to highlight the 11 blackest moments in Olympics history. At the 1936 Olympics in Berlin, each time Jesse Owens’ feet touched the ground, he put more distance between the reality of his ascension as a universal figure and the falsehood of Adolf Hitler’s doctrine of Aryan supremacy. Owens, the son of a sharecropper and the grandson of slaves, won four gold medals (100 m, 200 m, long jump, and 4x100 m relay), thereby using his blazing speed to seemingly melt shackles and convert them into metal fit for a king. Although noted for statesmanship among fellow athletes at the 1960 Rome Olympic Games, Ali was anything but friendly in the ring. The 18-year-old Louisville native exhibited a confidence and a fighting style that would leave audiences in shock, as well as his opponents. His explosive performance in the third round of his gold medal match against Zbigniew “Zigzy” Pietrzykowski — after a challenging first round — was nothing short of spectacular and signaled the rise of a legend. Photo: Olympic.org[/caption] Your browser does not support iframes. Wilma Rudolph overpowered childhood polio and eventually won three gold medals (100 m, 200 m, and 4x100 m relay) at the 1960 Olympics in Rome. Rudolph was so far ahead of her time that when her home state of Tennessee wanted to celebrate her athletic achievements, she refused to take part in the activities unless they were integrated. The powers that be followed the champion’s lead. When 200-meter sprinters Tommie Smith (gold) and John Carlos (bronze) gave Black Power salutes on the medals stand at the 1968 Mexico City Olympics, it seemed as if, with their black-gloved hands, they were holding up the soul of black America for all the world to behold. They were branded as unpatriotic, but they were actually calling on the entire nation to stop playing games and get serious about fulfilling its self-proclaimed ideal of equality. At the 1988 Olympics in Seoul, South Korea, Florence Griffith-Joyner captured three gold medals (100 m, 200 m, and 4x100 m relay) and one silver medal (4x400 m relay). Throughout her career, “Flo-Jo” slayed with her speed and fashion, breaking world records as if they were going out of style. The 1992 Dream Team is undoubtedly one of the illest basketball ensembles to be formed (Golden State, what’s good?). The dynamic roster included basketball gods Michael Jordan, Magic Johnson, Patrick Ewing, David Robinson and Charles Barkley, among others — and none of them had mercy on the competition. Fast break plays, dunks, dunks and more dunks would enable the squad to entertain crowds and snag the gold. Ashe! At the 1996 Olympics in Atlanta, the Nigerian men’s soccer team became the first African team to win a gold medal in soccer. The “Super Eagles” defeated traditional powerhouses Brazil and Argentina en route to the championship. An Aboriginal woman from Australia, Cathy Freeman experienced a great deal of discrimination on and off the track. However, her victory in the 400-meter event at the 2000 Sydney Olympics sent a loud message to fellow countrymen and the world that talent and excellence can't be stopped. The lightning-fast sprinter gave West Indians, track enthusiasts and anyone watching much to revel in. 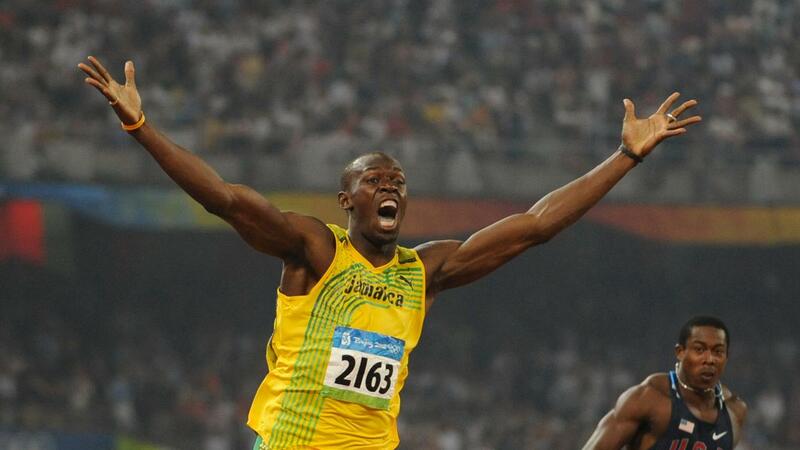 From his record-breaking performance in the 100-meter event to his unapologetically black victory dance, Usain won our hearts at the 2008 Olympic Games in Beijing — and three gold medals. With social injustice and black excellence in tandem, this summer we can expect to see black athletes demonstrating their will through performance, voice and personhood. This very well could be the blackest Olympics yet! Kevin Beckford is a young professional in Washington, D.C. simply trying to do good work and pay his rent on time. He received his B.A. in African American Studies and Political Science from Yale University and picked up a few master degrees along the way. When Kevin is not in the gym getting swole, he can be found in a Black establishment near you cracking jokes and living life or mentoring young people in Philadelphia, Jersey, and the DMV area. Follow him on Facebook, Instagram and Twitter.